The Women’s Art Society of Montreal is proud to host its 125th annual Juried Art Competition, Exhibition and Sale from April 24 – 28 at Le Livart Gallery 3980 St. Denis, reports noted Jewish artist Carol Rabinovitch. It is free to the public. A piece of work by Carol Rabinovitch. The WASM was founded in 1894 by two Montreal women, Mary Martha Phillips and James H. Peck (nee Mary Alice Skelton) with the goal of integrating women into the art world at a time in history when women had few rights and were relegated to other roles. The parent body was incorporated in Toronto in 1892. The Board of Directors role is to govern WASM by providing leadership and direction in the pursuit of its vision and mission. A vernissage will take place on Wednesday, April 24 from 4 pm to pm. Closing ceremony and awards are slated for April 28 from 3 pm to 5 p.m.
For more information and to join, log on to : www.womensartsociety.com or call 514-495-3701. Federation CJA President David Amiel has announced that the Chair of the 2020 Combined Jewish Appeal Campaign will be Mitch Garber – a visionary business power broker and community leader in Canada and Israel. He is internationally respected for his success in both business and philanthropy. Lawyer Cookie Lazarus, businessman David Baazov and Garber. What a development! Garber has gone from your average young man in the neighbourhood who required tuition assistance at Jewish day school to become a self-made multimillionaire. And during all of this time, he remains the same down to earth human being who treats everyone the same. Garber is well known as the first ever Anglophone judge on Dans L’oeil Du Dragon. As an executive, he was the CEO of Caesars Interactive Entertainment, and Caesars Acquisition Co., and the architect of the multi billion dollar sale of Israeli Mobile games company Playtika, to a Chinese consortium including Jack Ma. He is currently the Chairman of Cirque Du Soleil and Chairman of Invest In Canada (Investment Canada), the Canadian government agency responsible for attracting and facilitating foreign direct investment (FDI) into Canada. He is also a minority owner of the NHL team recently awarded to Seattle. Soon he and Stephen Bronfman will bring the Expos back to town. Garber and his wife, Anne-Marie Boucher, commit a considerable amount of their time and money to philanthropy, notably in Montreal and Israel. Mitch is a patron and contributor to the Weizmann Institute and Anne-Marie serves on the International Board; he is a patron of the Western Wall Heritage Foundation; and he and Anne-Marie are patrons of CIJA and have helped organize missions for non-Jewish business and political leaders to visit, learn about, and experience Israel. Mitch co-chaired Montreal’s 2016 $55 million Centraide campaign, and established The Garber Family Post Doctorate Fellowship in Hereditary Cancer at McGill’s Faculty of Medicine, in addition to several other charitable involvements. Their son Dylan is currently a Lone Soldier serving in the Cyber Defense Unit of the Israel Defense Forces. Israel’s Athena Fund, the initiator and operator of the “iPad for Every Special Education Teacher in Israel” program, awarded a prize to a special education teacher from Jerusalem, who won first place in an inspiring story competition. The aim of the competition was to hear how the iPad helped students with special needs and disabilities that led them to extraordinary achievements. The competition was held in memory of the late Amos Ilani of blessed memory, who was Athena Fund’s operations and logistics manager. This year’s winner was Dorit Menashe of the Kiah School for the deaf and the hard of hearing in Jerusalem. Dorit’s story was that of a student with an intellectual disability and hearing impairment. Using the iPad, the student succeeded in communicating with his surroundings and his entire life changed. “I am happy that one of the most important donors to this program is from The Sylvan Adams Family Foundation” said Assayag. “I have no doubt that the Athena Fund’s programs contribute greatly to the education of Israel’s young generation, which is the key to Israel’s future and strength. This particular ‘iPad for Every Special Education’ program helps students with special needs realize their potential and integrate into society. Menashe’s winning essay describes a student with an intellectual disability and hearing impairment, who until recently was unable to communicate with his parents or anyone else. Consequently, his frustration manifested into regular tantrums. School staff tried to give him various tools for communication, without any real success. All this changed when he and his teachers received the iPads and began to use it in the classroom. The student’s family were unsure that the iPad would allow him to communicate, but with the unflagging faith and work of the school staff, he began to communicate slowly. He found a way to communicate and share his feeling and the world opened up to him. 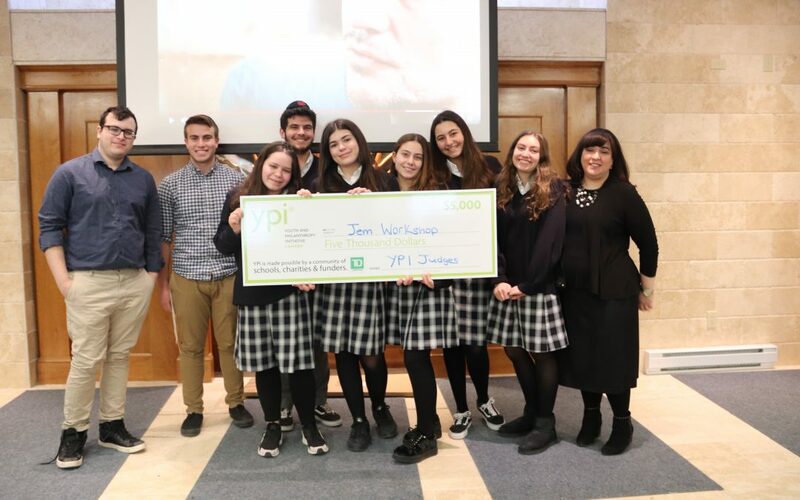 “The iPad creates wonders in special education, promotes and improves learning, and enables students with special needs to communicate with their surroundings, to learn and to develop,” Menashe stated at the award ceremony. “The boy I described in the story even managed to celebrate his bar mitzvah. I see special education as a calling, and I am happy that both my twin sister, my daughter and my brother have also chosen to become special education teachers.” Menashe announced that she will donate half of the prize to the school where she teaches. The iPad for Every Special Education Teacher program was launched by the Athena Fund in November 2015, as part of a general program providing Israel’s teachers with a digital toolbox. So far, approximately 7,000 special education teachers and kindergarten teachers have received iPads, special applications, and 120 hours of training. An additional 8,000 teachers are expected to receive iPads over the next three years. Distribution of the iPads is made possible thanks to contributions from the Athena Fund and its partners, including the Israel Teachers Union’s Professional Advancement Fund, Bank Massad, the Ministry of Education, the Ted Arison Family Foundation, the Sylvan Adams Family Foundation, UIA Canada and the local authorities where the iPads are distributed to the special education teachers. Established in 2006, the Athena Fund is a non-profit organization working to promote the empowerment of teachers in Israel by providing them with tools for self-fulfillment and professional advancement. The fund was founded by several prominent business leaders under the direction of President Uri Ben-Ari (CEO of UBA Ventures and former Executive VP of Ness Technologies). The Athena Fund’s programs include: Laptop for Every Teacher in Israel (launched 2007); Laptop for Every Kindergarten Teacher (2012); Tablet for Every Science Teacher (2014); iPad for Every Special Education Teacher (2015); and Laptop for Every English Teacher (2018). To date, the Athena Fund and its partners have provided laptops, tablets and iPads to more than 22,000 teachers across Israel, in 1,854 schools and kindergartens in 145 local authorities (municipalities, local and regional councils). Each teacher also receives 120 hours of techno-pedagogical training from professional instructors, with support from the Ministry of Education. For more information, please visit https://www.en.athenafund.org/default.aspx. The Jewish Public Library announces its Spring 2019 Cultural Programmes calendar, with highlights including world-class authors Ayaan Hirsi Ali and Michael Ondaatje, Montreal film premieres of Israeli documentary Desert Wounds and Slovakian Academy Award entry The Interpreter, and a special collaboration with Bloomsday Montreal on Jews in Irish literature. All JPL events start at 7:30 pm (unless otherwise indicated) and take place at the Jewish Public Library, 5151 Côte-Ste-Catherine Rd in Montreal. Information and ticket purchase: (514)345-6416 or www.jewishpubliclibrary.org . Film in English Italian, Spanish, Polish and German with English subtitles. The film explores the life of cinematic enigma Moshe Waks, the son of a poor Jewish blacksmith from Ukraine who died as Prince Michael Waszynski in Italy, after having made over 40 films as a director and producer during Hollywood’s golden era. Montreal premiere of an award-winning documentary that follows the journeys of two Christian women from Sudan and Eritrea fleeing war, dictatorship, and religious persecution to seek asylum in Israel. Introduced by director Nili Dotan, followed by a panel discussion with Nili Dotan, Irwin Cotler OC, David Berger and Zoë Freedman. Simon is a troubled young man; Theodore is a difficult adolescent. A chance encounter between the two sparks a dramatic clash and ultimately heals wounds. A tough and tender film about mental illness and love, and how to live with both. New York Times bestselling author Mary Morris speaks about her novel, a multi-generational family saga in which she traces her family’s history from the Spanish Inquisition to modern-day New Mexico. Our ‘Books & Booze’ series presents a lively discussion with two young American authors. Ball’s What to do about the Solomons explores the secrets and gossip-filled lives of a kibbutz community. Wise’s The Emperor of Shoes tells the story of a young Jewish American expat who assumes the helm of his family’s shoe factory in China and his relationship with a seamstress intent on inspiring dramatic political change. A bittersweet tragicomedy about two old men who depart on a road trip, weighed down by unresolved conflicts that have plagued their lives. The film was Slovakia’s 2019 Academy Award entry. Presented in collaboration with the Montreal Holocaust Museum. Israeli author Orly Castel-Bloom blends faction and fiction in this unconventional telling of her family’s migration from Egypt to Israel, expulsion from a kibbutz and life in modern-day Tel Aviv. Castel-Bloom is thrice winner of the Israeli Prime Minister’s Award. Prominent Quebec journalist, novelist and essayist, Denise Bombardier will discuss her life and decades-long career. In collaboration with the Cummings Centre. The controversial human rights activist, former politician and author of Infidel states that it is important to understand the distinction between Islam, a set of ideas and principles, and Muslims, the diverse individuals that constitute one fifth of humanity. In recent decades Muslims have, at one point or another, been discussed as a threat to national security. Hirsi Ali will give her perspective on this incredibly thorny topic. When New York Times bestselling author Georgia Hunter was 15 years old, she discovered that she came from a family of Holocaust survivors. We Were the Lucky Ones follows her family as they scatter across continents, determined to survive and to reunite. Her book has been translated into 13 languages. Our annual evening of stories and songs in Yiddish and English by a group of talented Montrealers honouring Yiddish author and playwright Sholem Aleichem’s wish for his name to be recalled with laughter”. The musical Fiddler on the Roof was based on the stories of Sholem Aleichem, known as the “Jewish Mark Twain”. Irish scholar Pól Ó Dochartaigh explores questions of identity, Irish and Jewish, through six twentieth-century autobiographies by Irish Jews. The touring exhibition Representations of Jews in Irish Literature will be presented in the main lobby of the Federation CJA building (just outside the entrance to the Jewish Public Library) from May 27 to June 17, 2019. One of Canada’s most renowned living authors, Michael Ondaatje will be in conversation with Joseph Rosen about his mesmerizing new novel, set in the decade after World War II. Ondaatje’s previous work has been awarded the Booker Prize, the Golden Man Booker Prize, the Giller Prize, the Irish Times International Fiction Prize and the Prix Médicis.